PICK OF 17 GRADED RACES WITH DAQMAN 20-11: Sandown has survived alongside Leopardstown’s Dublin Festival to bring a feast of major racing in England and Ireland today and tomorrow for a total of 17 Graded races plus two Listed AW Flat races at Lingfield Park. Daqman leads Pricewise of the Racing Post 20-11. Today: 1.45 Lingfield; 3.00 and 3.35 Sandown; 2.00 and 3.45 Leopardstown. 1: Joseph O’Brien is showing a profit of almost 50 points (hurdles and chases) at Leopardstown since he started training. Only one is fancied today: get Rich(ebourg) quick? He’s Daqman’s supernap! 2: If things don’t go so well for you today, be sure to follow the winners at Cheltenham. Eight horses to score at last year’s inaugural Dublin Festival went on to win at the festival in March. HIGH FIVE! LONG-WEEKEND OF FORTUNE COOKIES: Daqman’s Fortune Cookies, horses to follow, have a five-strong team over the next three days to defend their profit of 556.76 to 20-unit stakes so far in the NH season proper since November. Daqman stands by the 20-points routine bets on Le Prezien, Lostintranslation and Wissahickon in their races today, and puts them in Daq Multiples (see below). 1.25 Leopardstown (Irish Champion Hurdle) The last two winners, Petit Mouchoir (2017) and Supasundae (2018), meet for a decider in which neither one is favourite! Melon, only fifth last year but then second in the Cheltenham Champion Hurdle, is top rated, and the current-form horse is hat-trick winner Apple’s Jade. She beat Supasundae 20 lengths in the Hattons Grace at Fairyhouse in December. 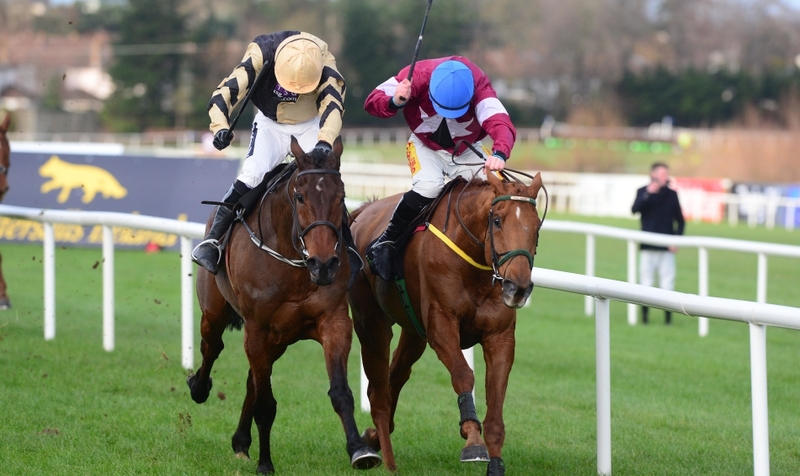 ‘Sunday’ is a stuffy horse and has needed his runs back but Melon usually wins when fresh so has his work cut out to turn around recent Leopardstown form behind Supasundae and Tombstone. Apple’s Jade has never been out of the frame over hurdles (13 wins) in 19 starts and is unbeaten at Leopardstown but so far is beatable at 2m (0-2). It will be close but Supasundae is too big at 5.0. Eight winners out of 10 have been double-figure SPs from 10-1 to 50-1 and none in the decade has carried more than 10st 10lb (two have been out of the handicap). Horses aged five and six are 6-8 but the ground is different for last year’s winner, Off You Go. Sayar is a big price at 20.0 (BETDAQ for a first-time Willie Mullins handicapper. The ‘hidden’ horse, though seemingly exposed in that he goes for a hat-trick today is Eclair De Beaufeu, who has been entered in a total of four Grade-1 contest s, yet here he is a 13.0 BETDAQ offer, 10st 5lb in a handicap. 3.10 Leopardstown (Dublin Chase) Min won this last year from Simply Ned, and the absence of Footpad suggests the same one-two is likely again. 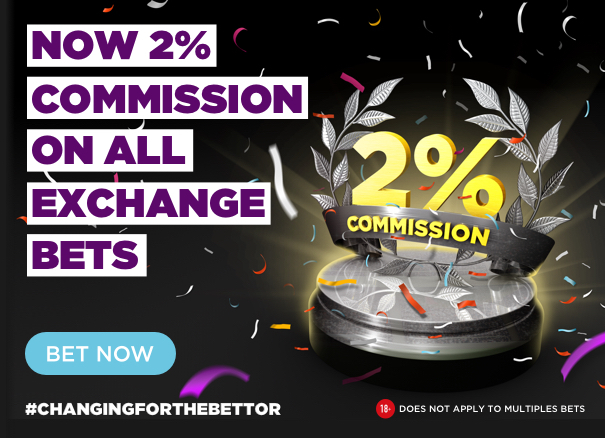 Min was 1.63 this morning but, if you make an offer on BETDAQ, it might get matched. 3.45 Leopardstown (Arkle Novice Chase) With one exception that proves the rule, nine-year-olds (trail-blazer Knocknanuss and soft-ground-horse Articulum) don’t win this. Knacknanuss tries to leap the grades from class 3 and his being second favourite says it all about the market leader. Le Richebourg, my supernap, was better than 2-1 on BETDAQ this morning. 1.15 Sandown After winning in the last two years with Grey Gold (aged 12) and Gino Trail (11), Kerry Lee today bids for a remarkable hat-trick with older horses in this fast-track two-mile chase, bringing back Gino Trail to try to make all for the second season running. Paul Nicholls has three runners, notably Le Prezien for the Fortune Cookies. Le Prezien hasn’t been seen for 76 days but his figures after a break are 32123212 and he’s big at 9.6 on BETDAQ. It’s very tight today on form. Nicholls had Dolos runner-up to Gino Trail in this race last year but worse off this time, while Le Prezien stormed clear of Gino Trail in the Grand Annual at Cheltenham, and they’re now weighted to run a dead-heat. 1.50 Sandown Champion Hurdler Buveur d’Air goes for a hat-trick in this and, though his seemingly easy passage to title defence at Cheltenham was interrupted on the last day, it’s hard to see Vision Des Flos making up 20 lengths or more from his Fighting Fifth defeat by Buveur on December 1. Rayvin Black was placed in this two years running, including behind Buveur d’Air, but is now 39lb behind the champion. Roksana at 27.0 is interesting, despite time off and being brought back to 2m. She won the Mares Novices’ Final at Newbury after a long break. 2.25 Sandown (Scilly Isles Novices’ Chase) Always throws up a good’un, not least Bristol De Mai when this column was ‘on’ three years ago and I napped a Henderson winner last season. No pressure then. The Fortune Cookie, Lostintranslation, is 4lb worse off with Defi Du Seuil, whom he fought back to beat at Cheltenham on New Year’s Day, and who has the same rating (151) as Vinndication. Close call! 3.00 Sandown Just when we said a year ago that no favourite wins this and none with more than 10st 12lb, along came a Paul Nicholls’ punt with 11st 7lb. The Ditcheat diviner could show his skills at the other end of the handicap today with Casko d’Airy sneaking in at the bottom after ‘destroying’ a big field of novices at Ascot, and the gamble of the race last night. But this is a Grade-3 handicap and, looking for a bit of established class, Keeper Hill (BETDAQ 9.8) has done really well since switched back from chasing, beaten only three lengths when giving 8lb to a Cheltenham Festival winner, Aaron Lad. Mr Antolini is unexposed at the trip but it’s a bit late in life to ask him if he fancies 3m. Stablemate Ballymoy also tries to step up and, now that he’s settled better, looks a big danger to the favourite. Eminent Poet has won back to back before, including after a break. 3.35 Sandown Women trainers have won the 1.15 (see above) four years running and – through Venetia Williams and Lucy Wadham – did the same in this one (2014-17). Lucy brings back Le Reve just as Kerry Lee brought back Gino Trail in that first race. Le Reve is now 11 and is down 12lb but has not won a race since that double. And Venetia is much more likely to score. Belami des Pictons (BETDAQ 4.2) has had a long absence but his form, deleting his two runs back in November 2016 and 2017 is 11111. Give Me A Copper for Paul Nicholls has also been absent since November, 2017. Since that month, Venetia’s other runner, Houblon des Obeaux (15.5 offers) , has run two races at Sandown and won them both.